Beef Stroganoff dinner (with special recipe from loving couple, Ann & Don Gregory). We are also collecting Target Gift Cards for Blue Star Moms of Marin. These are distributed to active soldiers and their families. TARGET is the gift card of preference, they are everywhere and sell food as well as household items. Thank you! 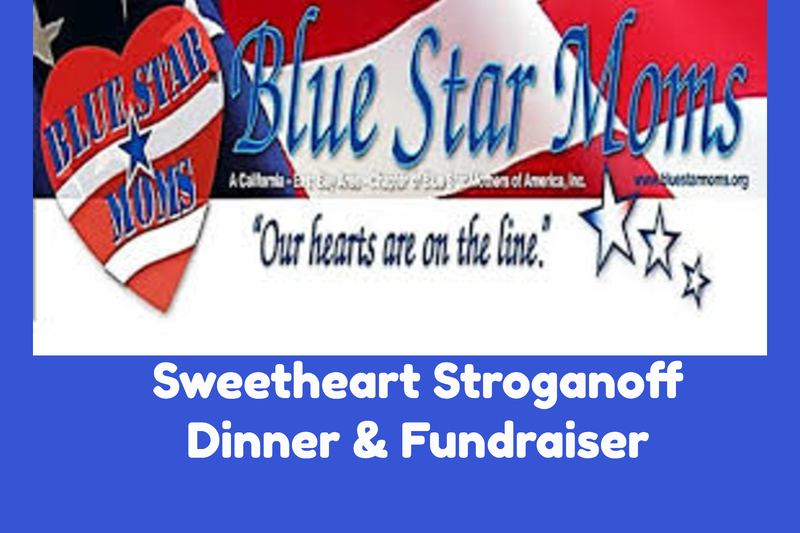 Read More about Blue Star Moms of Marin!